We have some important changes to the remaining blogging sessions between April and June. 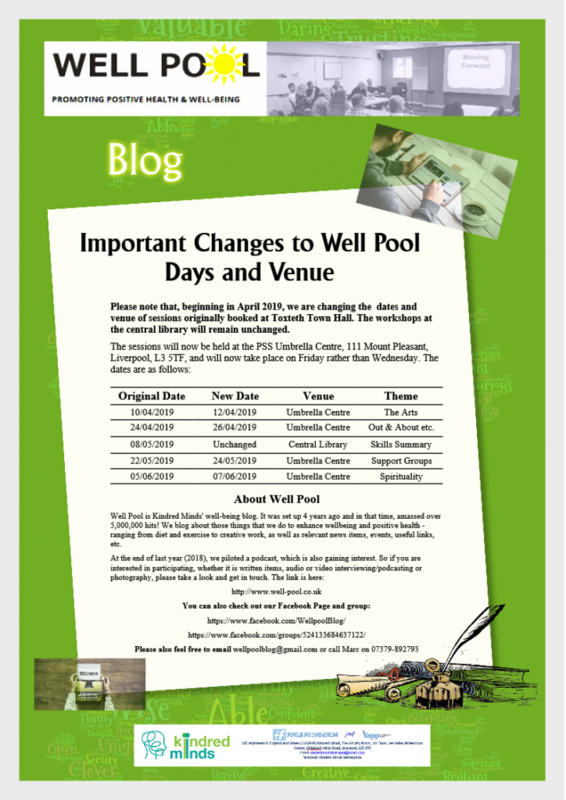 Whilst the library workshops remain unchanged, the day and location of the blogging sessions are changing. We are also introducing a ‘theme’ for each session. Of course, in case of important news, the themes have to remain somewhat flexible. Hope to see you at some of the sessions!